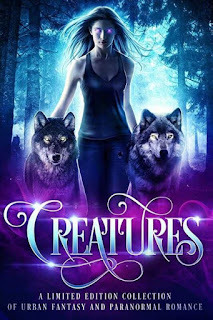 This was definitely different from the other Captured by a Dragon Shifter books! Sean was more assimilated into human culture than the other lead male characters have been, which I thought made for a different story. He was more aware of what was and wasn't acceptable behaviour when it came to women and that meant that it often came into conflict with his shifter nature of protecting and keeping a woman safe. Overall I just thought of Sean as a bit of a gentleman. I really liked Jules as a character. She didn't just do what she was told and made her own decisions, even if that involved putting herself in danger. She was the kind of character that would do anything to keep the people she cared about safe, and it made her likeable, if a little frustrating for some of the other characters! There was a good relationship between the two of them. They both felt the mating bond, and did act on it, but it also didn't feel as simple as that. The two of them actually talked about their pasts and their hopes, as well as having moments where they disagreed. I really liked them as a couple! As Sean was a bounty hunter, and Jules was on the run from the bad guys, there was plenty of action in this book and most of it was without having a bit of dragon worked in! 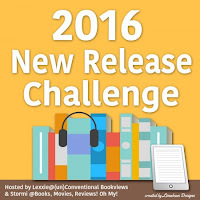 It worked well to keep up a good pace and I could feel myself being riveted to the page! I did so badly at this it's untrue. Especially considering I failed out of about two weeks worth of reviews anyway. Again...fell off the radar for two weeks so don't think I can say I did okay here! I did do some editing of these...honest! Visit other blogs regularly (I used to but this dropped off the radar a bit)Yeah...sorry everyone will get better again! Still hovering at gaining 5% so far this year, so it's going ok! Cloaked has gone off to the editor! On a whim, Gabriel MacSweeny bought a carnival when the old owner wanted to pass on. Even in the company of self-called Freaks, he is wary of revealing himself as a shifter, but when the fortune teller, Adeline is threatened he can no longer keep that part of himself under wraps. Since Gabriel took over, Adeline has felt drawn to him and soon the two of can't help but act on their passions. 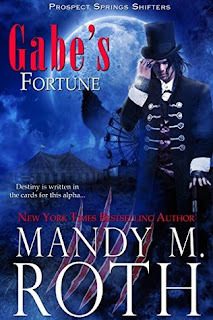 Sometimes all you need is something light and short, and that's what Gabe's Fortune is perfect for. There are links to the other books in the series, but they're only small and mostly linked to character names and what's happened to the world (basically it ended then people went back to living like from a different time). There wasn't as much of it in this book as in the previous two, but the combination of future and past works really well! There was definte chemistry between Gabriel and Adeline from the moment they first see each other. This is a fated mates style book, so that is to be expected, but the two of them actually seemed quite calm about the whole thing at first, even if they did want to rip each other's clothes off. I liked the family feel to the carnival too. Gabe's family were important to him (which was shown in the other books!) and it was good seeing that Adeline had that too. It gave the story a bit more depth, especially with how protective Betsy was. This was a great quick read! With Elizabeth I now divorced from Phillip of Spain, their daughter Anabel is ideally placed to make a marriage for the good of England. But Kit Courtney, younger son of Dominic and Minuette, has a hard time seeing Anabel as the Princess of Wales but knows he should keep that to himself. Meanwhile the elder brother, Stephen, finds himself embroiled in the plots and action in Ireland while trying to remain true to himself, his Queen and his family. 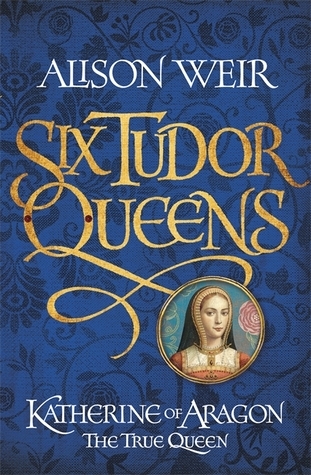 Before I started The Boleyn Trilogy (the series before this one, though the series could be read independantly they are linked in a lot of ways) I wasn't sure about alternative history as a genre, but Andersen captures the intricacies and politics of the Tudor court while adding her own flair and characters. It's engaging and addictive, and you do end up involved in the characters far too much! The Virgin's Spy (and the other books in the series) rely on changes in history surrounding Anne Boleyn and the idea that her second child, a son, lived. Elizabeth I was crowned as history told but after her brother William and not her half-sister Mary (their half-brother Edward never having existed). Elizabeth then married Phillip of Spain (instead of Mary) and had a daughter, Anabel. I'm not sure how Andersen's history will come back in line with real events, but I have a few ideas that won't break my heart too much! While the main characters from the previous book are more settled, they are less focused on in this book, and the story moves on to the three younger Courtney children (Stephen, the heir, and the twins Kit and Pippa) as well as Elizabeth's daughter, Anabel. Each character is holding secrets, particularly about what is in their hearts, and that has left them in some dubious situations! I don't really want to say any more because it would ruin it! But this book was a brilliant addition to the series and I look forward to reading more! These two! The pair of them were at each other's throats almost constantly during the first part of the book. It was one of those situations where they were both evidentally attracted to each other but wanted to deny that for reasons completely their own. It helped add to the tension between them as the book wore on. On the surface it didn't look like Ravenwood and Katherine would fit well together, but before long it became more and more clear that the two of them actually made a good team. They were both thoughtful and liked to show people that they cared, and they were both easily hurt. It took the two of them a while to get into a groove in their marriage. I had several "awwww" moments in this book over sweet things the two main characters did for each other. Their relationship had a good depth and I felt that I really got to know the two of them better than some of the other characters in the series. That could be down to the fact that the two of them have already played roles in previous stories though! This was a great ending to a fun series that us great for those moments where you want something sweet and enjoyable! 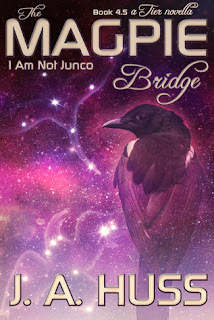 With Junco gone again, Tier has to face living his life without her, and without the pieces he needs to save the world. But Tier has one thing left, Junco's HOUSE, and before he knows it the little girl AI has worked her way into his heart. But there's one way that he could save them both and the world, except that he's lost all hope. This one was so emotional! After the ending to Range this was really needed, and in some ways it made me a little better about where things are going and that they'll work out okay. Even so there was something about it that was just emotional! This was a real insight into Tier! After Range his motives were thrown a little bit into question, though I never doubted that he loved Junco. 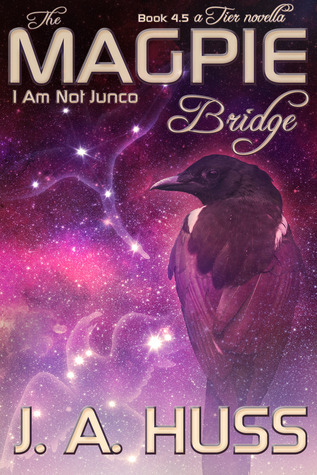 But The Magpie Bridge made it super clear exactly what he felt for her, and by extension HOUSE, and it furthered their story together. And that ending...wow! It was so romantic, sweet and perfect. It fit so well with Junco and Tier and their relationship and it gave the reader hope that everything would be okay! I can't wait to get into the final book, I feel that it will have a lot to offer! Totalatarian states don't just happen over night. People's rights slip away day by day as one group comes to power. 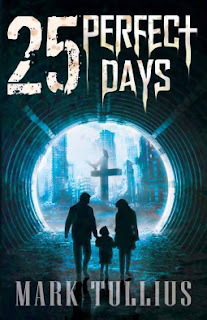 25 Perfect Nights tells the story of the decline into a dystopia and the fight against it through 25 interlinked short stories. I'm not going to lie, this book was kind of disturbing, in a completely scary way. I liked how it showed how America went on a downward sprial into a dystopia, it showed a great deal of talent from the author to pull off in a way that engaged the reader and kept their attention. 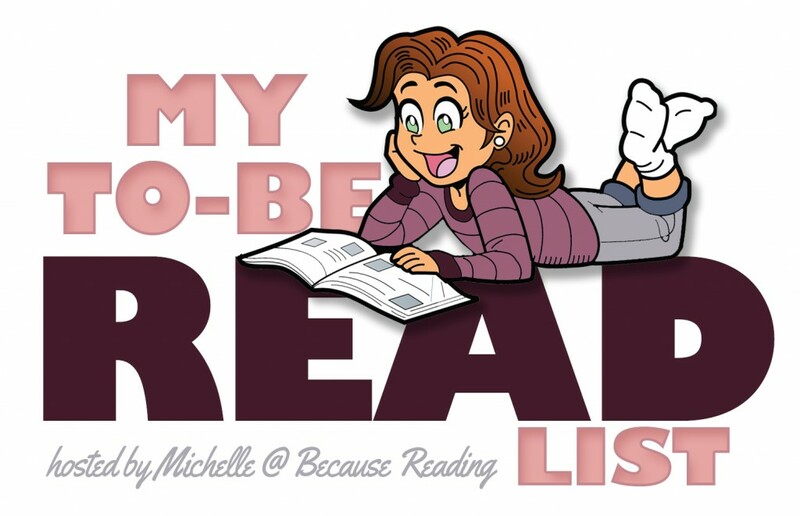 One of the issues I had with it is that I'm a character driven reader, and because each of the stories is only short I didn't have the time to fully come to care about the characters, or even really get to know them. In some ways this helped, because for a lot of them the outcome wasn't good, and even early on there were some shocking moments for them. The dystopian elements were well thought out, the basis of which was a religious sect gaining control over the government and later everyone. There were other factors taken into account as well such as a baby boom, and how the government/Church of the American Way dealt with that, and I very much hope that no one in the world is capable of anything like appeared in this book. This wasn't a happy read, it was fascinating and interesting and it ends happier that Orwell's 1984 (which I maintain is one of the scariest dystopian endings out there!) But its the realism that gets me. This isn't one of your teenage heroes are going to save the day dystopias, instead its one of the "the world is really messed up" ones. 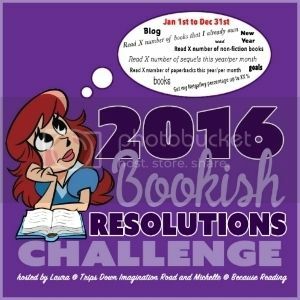 25 Perfect Days is different and thought provoking, and I'm glad I've read it. 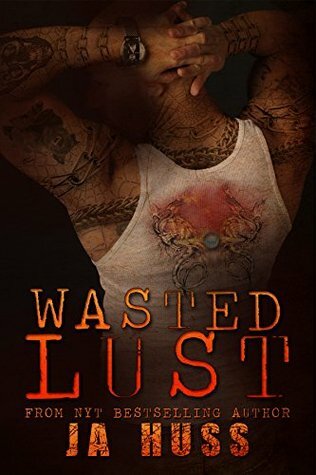 Technically Wasted Lust is a standalone, however I for one would highly recommend it being read after Meet Me in the Dark (So basically read the books in the order that I listed them above). 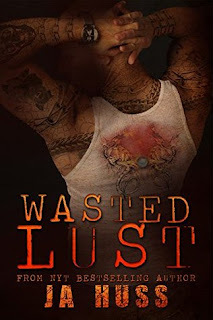 321 is the book that really got me into Huss and even some of the plot from that book fell into place properly for me after reading Wasted Lust! That's how well all those books tie together. I've loved Sasha since her first appearance in the books (which I'll admit to not reading in the right order!) and this book just topped up that love! Sasha is an amazing character, simultaneously fragile and comepletely kick a**. In a way, I think she's the most stable of the Company characters even if she was the youngest member of the team. I liked the chemistry between Sasha and Jax, it was clear that there was deinfitely something there and they seemed to bounce off each other well. I actually found myself reading and hoping that Nick wasn't going to turn up and ruin everything between them. Nick was a slight enigma to me in this book. He hasn't been around all that much in any of the books to say that he's Harper's twin (Harper is the female lead in Dirty Dark & Deadly) and it took me a while to even try to figure out his plan (naturally I was wrong about it). When his motives were revealed I couldn't help but aplaud Huss once again, all the information was there in the book but it was something I didn't suspect. 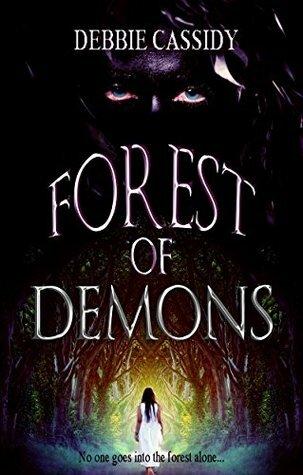 Priya has always dreamed of seeing the Capital despite living in the shadow of a forest filled with demons. There's one rule the villagers truly stick to; don't go into the forest at night. But when there's a demon attack during the day everything changes. I don't want to say anything more in my summary simply because I think it would give too much away. I read this both in beta form and now it's released, and I have to say that the twists and turns kept me on my toes the second time as much as the first. Debbie Cassidy has definitely woven a fantastic story. Priya is a likeable main character, if a little naive at times, but that does make her endearing. She definitely comes across as her age, with things like a crush on her friend Guru, but feeling attracted to the village blacksmith, Ravi. She cares for her parents but finds them smothering at times...for me it just worked character wise. Aryan, the other main character who lived in a completely different place, was more difficult to like. There were moments where his morals and charm warmed me to him a little, but then he'd do something and I'd just find myself not liking him again. I'm pretty sure some of that was because I already had a sense of what he was going to do or not. For both main settings in the book the mythology was cleverly woven in and a complete back story given. The world was well created and really drew the reader in. There is a glossary at the back of the book for some of the Indian/Hindu words, which I do think helps! This was a great read and I'd definitely recommend it! 2 years of pain and torture have passed since Inanna took Junco and forced her into a morph tank. Finally back with the people she thinks are on her side, Junco is more messed up than ever, dealing with remembering her past and coming to terms with her future. With everyone seeming to have their own agenda, who is really by Junco's side? So many feelings while I was reading this book. There was a lot going on and sometimes I did struggle a little to keep it straight in my head, particularly when it came to what character's agendas were, but then there'd be "oh!" moments where it all falls into place! 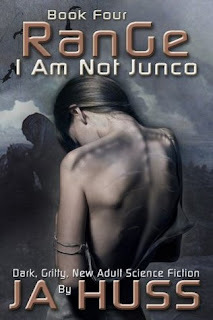 As I'm sure I've said in previous books, every time Junco seems to become more and more human (emotion wise, by this point I believe it's pretty obvious she is not in fact human) and more relateable. For me it was that she fixated slightly on the loss of her wings, which in the grand scheme of things wasn't a big thing, but it was normal of her to do that and it was very endearing. The action was still there in this book, though maybe down a little notch from previously. There was also some of it in flashbacks which showed more about Junco's past and answered a few questions. Of course there are still a lot of questions I want answers for, including a lot about Gideon! The romance was pushed to the side a little in this book, and mainly was explored as a consequence (and through a lot of shouting!). I'm still very definite about who I want Junco to end up with, and though I'm not 100% sure on how exactly it will work yet I'm almost convinced that it will! I can't wait to carry on this series! I must say, Foster always delivers, especially when you want a romance that you know will work out in the end, but will have to work for the HEA. The elements of family and friendship in the books just make them seem more real and I love that touch. I really liked that Janie and Boyd had to deal with real life relationship dramas. It wasn't all big things (though Boyd's past was pretty major and my heart broke for him), it was the little things like career decisions and saying things without thinking, that really made it real for me. I loved the side characters too! Some of them I've read of before, and others could be placed in family trees I know of (though it took me a while in a couple of cases!) Kiki was definitely my favourite though! And the epilogue...so cute! It took me a long time to read Kathrine of Aragon, the True Queen, not because it wasn't good (because it definitely was) but because there was so much to it. The book tells the story of Katherine's life from her arrival in England to her death and a lot happened in that time. While her love for Henry is one focus of the book, there is plenty of politics, both of England itself and of Europe as a whole. I thought that Weir's version of Katherine was actually quite naive for a long time. Even towards the end of the book where she should be more worldly because of what was done to her, she still thought it would work out okay. It actually worked really well with the events of Katherine's life, and especially when it came to her stubborn streak. Katherine definitely had a lot of endearing traits. Her love for her husband and her daughter were strong and she was always trying to do what she thought was best. This even translated into positive thoughts towards Anne Boleyn (in the early stages that is!) which was mostly due to the people at court shielding her from it. I thought that Weir's version of Katherine was a much more human one than many I've read and I liked that. Her world was rich and interesting and it created a fantastic reading experience. I want to apologise for falling completely off the radar these past couple of weeks. I'd love to be able to say that there's a good reason, but if I'm honest with myself there really isn't. For whatever reason I've been really struggling with everything (not just writing reviews) and my poor best friend ended up with so many messages from me when I was feeling low. I mean it even took me 2 weeks to finish a book I was enjoying...that's definitely not right! Anyway, I'm now back on the ball (at least I hope so!) I finished my edits of Cloaked and sent it off to my publisher, I finished the book it took me so long to read, and a few other things sorted themselves out! I do now need to catch up on writing reviews though! Well first an update on my WIP from last month Phantom...while it still needs a name (oops!) the first draft is with my best friend now who is going to help me 'rip it apart' (my way of describing the first round of edits I do...) You can read my introduction to Phantom here. 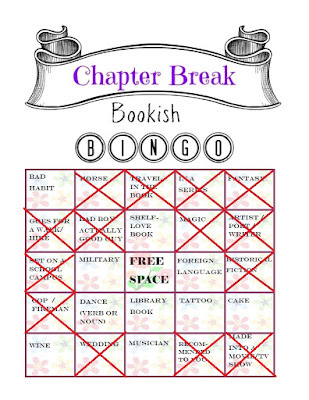 So...the idea...I'm not very good at planning before I write, and if I do I find my characters start to rebel against me, so this one was interesting in that the plot was semi-structured for me. My main inspiration is naturally The Phantom of the Opera, which I first discovered as the film back in 2004 when I was just 11 (maybe 12). 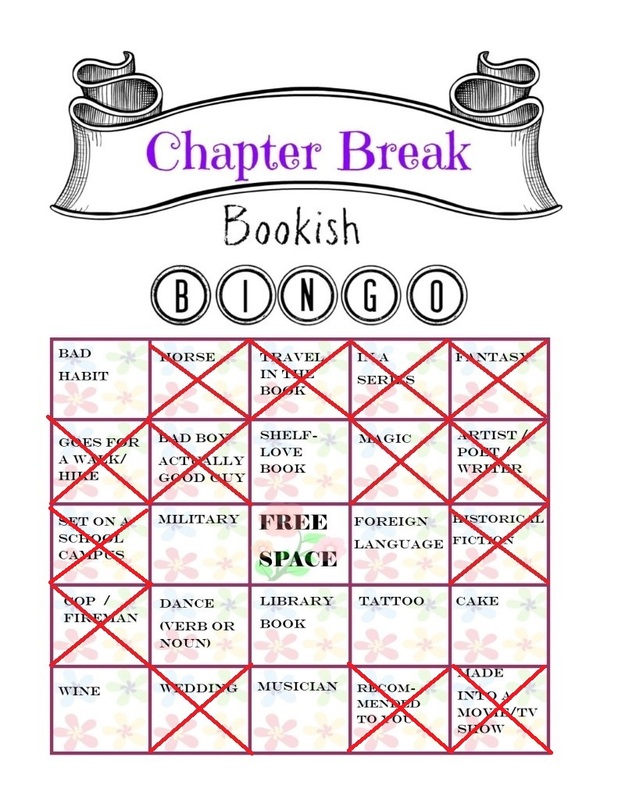 Since then I've read the book (and several retellings), watched it on stage, played the music (on the flute), and listened to the soundtrack so many times my iTunes would probably crash if I tried to find out how many. The soundtrack is actually where the idea for this started. Sometimes when I listen to soundtracks of musicals I like to imagine how I'd make it look if I was directing it (I can't sing otherwise I would totally be pretending to be Christine instead! ), but it was originally just a quirk of mine that I had. Because of how much I love The Phantom of the Opera I had already been toying with the idea of a retelling, but I was going to set it in an orchestra with a flautist taking the role of Christine (mostly because I know the most about flutes than other instruments). Somehow the ideas merged and Annabelle the assistant director was born. I knew that I didn't want a paranormal style Phantom, and developed the idea that maybe some of the accidents could be a prank pulled by other cast members. And this is where my best friend, Anna, got involved. Anna's been a fan of The Phantom of the Opera just as long as I have, and the first time we both saw it on stage was together a few years ago. I sent her a photo of my first scene and she started to brainstorm with me. One of Anna's ideas was one that shaped the book into what it is now. She suggested that the Phantom character could be mostly in Annabelle's head in the form of an abusive past relationship. She was a little wary of it at first because she thought that it may open a can of worms for me, but once the idea took root that was it, Toby the Phantom (and Annabelle's ex) was formed. Toby did take on a bigger role than we first planned, but I think that was needed to keep the tension with the Raoul character (Jack). But honestly this book isn't meant to be about Jack and Toby, it's meant to be about Annabelle. It's her journey to get past what happened to her, and to be comfortable in who she is and in her relationships. If I'm completely honest with myself there is a lot of me in this book. While I didn't suffer anything near as bad as what I put my main character through, some of what I wrote about is exaggerated versions of my own past. And scarily, probably what would have happened to me if I hadn't been able to get out when I did. There's also some of me (and some of Anna) in Annabelle and Hayley's relationship. They're best friends, and the straight talking tough love between them is defintely there in mine and Anna's relationship! As is the unconditional support and the fact we can still be best friends even if we spent time apart. Let’s share our Sparks ! What are the books, movies, songs, characters that have inspired your WIP and why? I probably answered this one above! But the main song that started this off is definitely Masquerade! 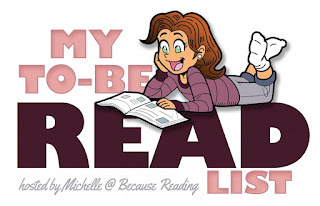 Thank you to Michelle @ Because Reading's for hosting! As with most of my TBR lists I've got a theme this month...and this month I've chosen three books that have lost previous TBR rounds of voting...just to make it that bit more interesting! 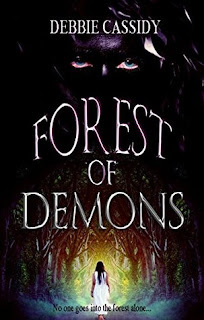 Synopsis: From missing socks to missing people, nothing could remain hidden from seventeen year-old Katelyn Kestrel for long, but after locating a forbidden passage out of her isolated country, Haven, she discovers for the first time that there are some things that should never be found. 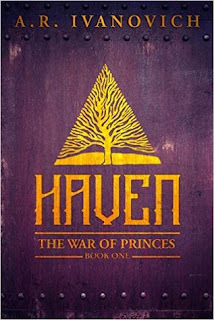 Outside the safety of her homeland's borders, Katelyn meets Rune, a young soldier who will die without her immediate aid. She never considered that helping him would lead to her capture. While being held prisoner by the handsome Lord Dylan Axton, she learns that the outside world is rife with war and controlled by people with extraordinary powers. It becomes clear that there was a very good reason the founders of Haven locked their people away from the rest of the world. The depth of her peril reaches a fever pitch when a ruthless Commander wants Katelyn dead. Her only hope is to return to Haven, but can she survive long enough to find her home? 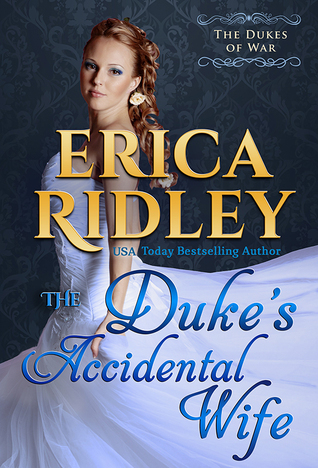 Synopsis: What if Elizabeth the First, the celebrated Virgin Queen, had a daughter? 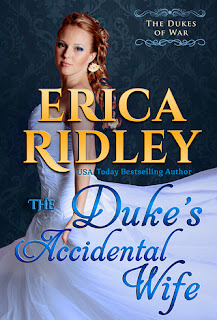 For those who just can’t get enough of the scandalous Tudors, the author of the wildly popular Boleyn King series offers an enthralling new saga of the royal family, set in Elizabethan England. Perfect for fans of Philippa Gregory and Alison Weir. This captivating continuation of her award-winning Boleyn King trilogy breathes immerses the reader in the dazzling Tudor court. Realistic period-details, genuine historical figures, and a stunning sense of atmosphere add depth and complexity to the seduction and glamour of the Tudor court in this spellbinding and imaginative sequel to The Virgin’s Daughter. Synopsis: For Minnesota Glaciers captain Scott Walters, skating on a bum knee—and self-medicating to keep skating on it—is all part of the game. That the painkillers he's eating prevent him from having meaningful relationships is just one more sacrifice in a lifetime of them. He’s worked too hard to let his image be ruined by injury or dependency, so he hides the pain and fakes the rest—a girlfriend would only complicate matters. High school teacher Rachel Fielding never needed a man in her life, but she also never intended to grow old alone. When she meets Scott while visiting her brother, she’s intrigued to find herself wanting him in her bed. For hours at a time, as often as possible. Scott is a giver, and just the memory of his attentions is enough to drive her crazy. Anything long-term is out of the question, though—the pills she finds in Scott's house indicate he's struggling with a lot more than growing older in a young man's game. When what starts out as a what-the-hell weeklong fling turns into Scott and Rachel exploring each other outside the bedroom, Rachel hesitates. But Scott asks for her support to break his addiction, and hearing him admit his secrets has her ignoring her own rules—until he breaks her heart. With the Glaciers refusing to renew his contract and his future with Rachel uncertain, Scott has some big decisions to make and a lot to prove—especially tohimself. 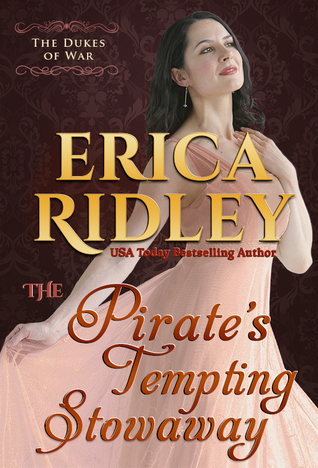 I loved having an older Regency heroine! Clara isn't naive or particularly innocent in the ways of the world, and that makes her a completely different kind of heroine. It also made her attitude towards men and attraction more interesting and allowed her to be more of the agressor than some of the past heroines. There was more action in The Pirate's Tempting Stowaway than there was in the other books, mostly due to the fact that a lot of it was set on a pirate ship, though as far as I could tell they weren't illegal type pirates which was a bit different! I also liked that this book humanised one of the characters who seemed like a bit of a baddie in The Major's Faux Fiancée. Originally I wasn't sure what to make of him, and though the ending of that book made me like hiim a bit more it was this one that really turned it around for me. This was anoter great installment to the series, and I'm looking forward to seeing what else the author has in store! When Martin is bequeathed his mother, Judy's, diaries when she is striken with Alzheimer's, the last thing he expected to discover was that she was the Black Stiletto, a masked vigilante who was active in 1950s New York. Reading her first diary takes him back to discover how she became the Black Stiletto and the adventures of her first year, including how she became involved with the Mafia and the New York underworld. I really liked the way that The Black Stiletto was told. There was a split in POVs between Martin and Judy. Martin's POV was in the present and offered a look into how he felt about the information, as well as a way to see a modern day Judy, whereas Judy's POV was written in a diary form so included reflection and the ability to report events in retrospect. It was interesting to see the origins of a vigilante/superhero and the fact that there is the slight moral grey area that goes with it. Judy's childhood, particularly the teenage years, were explored in a way that made it clear events influenced her, but she also did things that would definitely be considered illegal. More than that some of her acts were pure revenge, and that added a different dimension to the story. I must say though this book had a great mix of romance, action and adventure and it really did keep you reading. 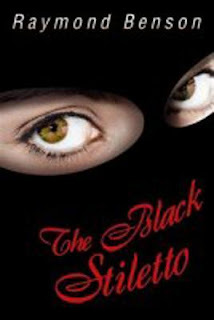 I don't know what I was expecting when I started The Black Stiletto, but I was definitely surprised at just how pulled into the story I became. There was no way of knowing what would happen and that made it a good read. I enjoyed The Black Stiletto, and it was an entralling read. I'm not even in the slightest bit ashamed to say that I read this one release day (dropping the book I was reading at the time to do so). There's just something about Huss' writing that makes you really want to know what she's released now, and I had to wait ages to read Rock because of my Lent against buying books, so Mr.Perfect got the immediate reading treatment! I loved Ellie! She was quirky and unique and she wasn't afraid to own it. Her little quirks and outbursts often had me laughing and they really helped me identify with her. I think it was also her fantasies and how they weren't massively over the top, instead they were just really sweet and normal. It humanised her. The chemistry between Ellie and Mac was there from the start, though there was also the other level of them not quite looking at it in a just physical way (though at some points they both appeared to be a little bit clueless about it! But for me the two of them worked amazingly well as a couple. 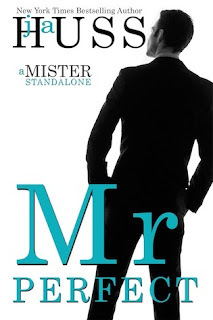 There wasn't as much suspense in Mr Perfect as there has been in Huss' other contemporary books, and the darker elements are missing to some extent, but that gives this book (and the future books in the series) a different feel to them and I liked that. Even if this wasn't Huss then I'd be reading the next book! So...this month has been a fairly bad reading month, mostly due to everything going on. My job's changed now after the woman whose maternity I was covering came back to work. So I've been trainging with the chef among other things. However due to another baby, I'll probably be going back to doing what I was soon...so there is that. I've been pretty sociable this month too! I had a friend's engagement party at the beginning of the month and it was the first time all 6 of us from uni had been together in ages! (There's never all of us around at the same time!) So it was a fantasitc night. I also went to visit my bestie for a weekend and she treated me to the spa and dinner before we went for cocktails. Writing wise this month has been really good. I finished my Phantom manuscript and my best friend now has it to help me rip it apart! I also finished my first round of edits for Cloaked and have been giving a lot of thought to what I want to write next! So this is basically the amount I should have spent on books, and the amount I actually did spend. I am ridicolously grateful for the existance of Netgalley and Review Copies it must be said! 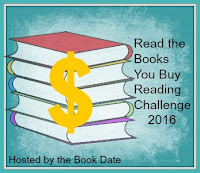 The prices I use is for the kindle edition of a book unless it isn't available or I read a paperback copy.